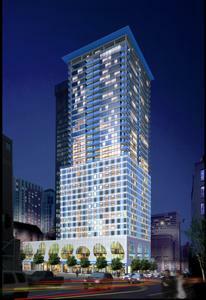 The Olive 8 is a 455 ft (139 m) 39 floor skyscraper in Seattle, Washington. 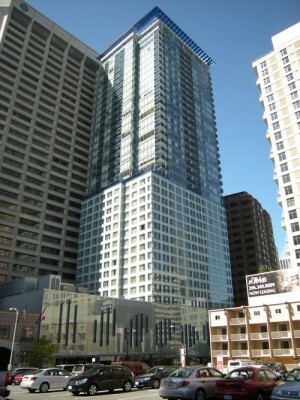 It has 229 residential condominium homes above a Hyatt Hotel. It is located at 8th Avenue and Olive Street in Downtown Seattle and is Seattle's largest residential building. The hotel opened January 5, 2009 and the first homeowners were scheduled to close on their homes late February 2009. The building has one of the largest green roofs in downtown Seattle, 8,355 square feet (776.2 m). The building was developed by R.C. Hedreen and designed by Gluckman Mayner Architects, the architects for The Andy Warhol Museum in Pittsburg, PA and the Dia Center for the Arts in New York City.